Make sure you get the information you need! 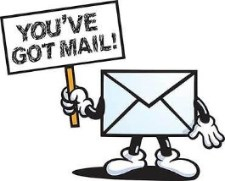 If you are receiving this, you are an active member of the Woodland Hills High School Band Parent Organization mailing list! As we prepare to send another great group of Wolverines off into the world, some of you may wish to leave the mailing list. Please use the links below to update or unsubscribe from our updates. SENOR PARENTS - NOTICE: Go here to unsubscribe from this list. Go here to subscribe to the list if you are seeing this for the first time. As always, tons of information including fundraising forms, volunteering opportunities, our calendar, and much more is available on our group website, https://sites.google.com/site/whhsbpo/home. All questions and comments regarding BPO issues should be directed to whhsbpo@gmail.com and someone from the executive committee will be in touch.